Bodybuilding support for male athletes over 30. LJ100 contains a powerful Tongkat ali extract, as well as a glycoprotein called Yuri peptide. The manufacturers of LJ100 continue to diligently research the many potent benefits of these active ingredients, and especially Tongkat ali. Alongside weight training, LJ100 will help you take your training and bodybuilding to the next level. It is especially recommended for male athletes over the age of 30. Bulk Sports supplements are made with the highest quality but this product does not bear a TSP mark due to the natural plant ingredient, Tongkat ali, in LJ100. Tongkat ali is not a prohibited substance, but happens to contain a naturally occurring steroid. Therefore, athletes undergoing drug tests do not use it. 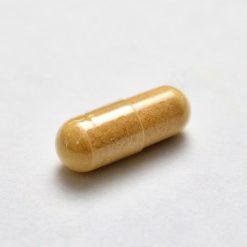 Take 1 capsule per meal, 1-2 times daily. We recommend that you take 2 capsules at 6-hour intervals. 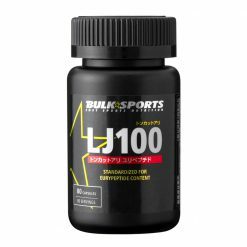 We also recommend that you take LJ100 for 5 days and then rest for 2 days. Repeat this cycle for 2 months.